CHOICE, INDEPENDENCE and QUALITY OF LIFE! PROVIDING SERVICE TO SENIORS AND 'AT RISK' INDIVIDUALS TO IMPROVE OR MAINTAIN CHOICE, INDEPENDENCE, AND QUALITY OF LIFE! THE DEPARTMENT WORKS TO ENSURE SENIORS AND ADULTS WITH DISABILITIES HAVE THE RIGHT TO AGE IN PLACE, IN THE LEAST RESTRICTIVE ENVIRONMENT. Treating customers as we would hope to be treated when faced with similar life-stage needs or issues is an integral DAAS value for the delivery of services. DAAS services are to be treated with dignity, empathy and respect for their self-worth. DAAS is governed by the following standard: Would we refer our parents or disabled family members to our own programs? DAAS also administers the In-Home Supportive Services and Adult Protective Services to the County's at risk elderly and dependent adult populations. DAAS is committed to safeguarding the rights of vulnerable adults, supporting caregivers and promoting prevention. Commitment to consumer-focused/client centered delivery of services. Competent staff working effectively to serve consumers. for improving service delivery systems. Utilization of professionally and successfully proven knowledge and skills in the delivery of services. Consumer participation in program planning. Flexibility to respond to the needs of individuals, their families and caregivers. Consumers involved in designing and monitoring the system. Equally accessible to diverse populations. Consistent policy with local control and implementation. 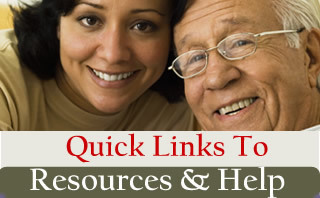 Provide preventative services, home and community based support and institutional care. Cost containment and fiscal incentives consistent with the delivery of appropriate services at the appropriate level. DAAS is also the County department responsible for planning, coordinating and funding programs for all functionally impaired adults and for educating the public on these issues. 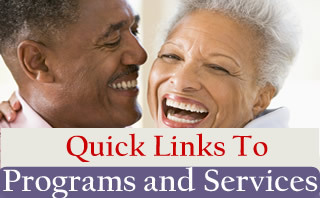 The Department of Aging and Adult Services offers a wide variety of programs designed to help the senior, disabled , and at-risk adults in our county. We strive to ensure options are easily accessible to all older individuals and have a visible focal point where anyone can go or call for help, information, or referral.